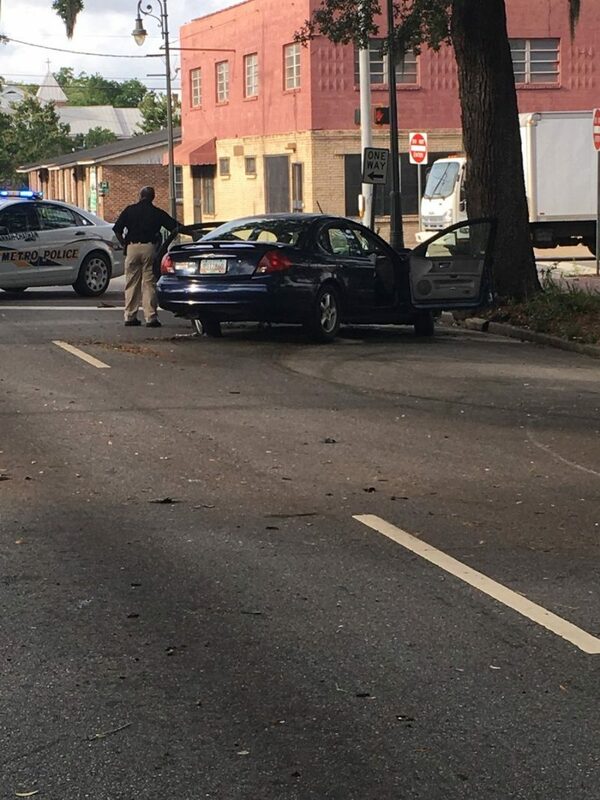 SAVANNAH, GA (May 15, 2018) –Savannah Police Department’s Traffic Investigation Unit is investigating a single-vehicle crash that occurred around 5:30 p.m. today at Martin Luther King Jr. Boulevard and Anderson Street. An investigation determined that Frederick Kinlaw, 33, driving a Ford Taurus was traveling north on Martin Luther King Jr. Boulevard near Henderson Street when he entered the median and lost control of his vehicle, striking a tree. He was transported to the hospital with serious injuries. There was a passenger in Kinlaw’s vehicle who did not sustain serious injuries. The Traffic Investigation Unit continues to investigate this crash.